Make some pajamas to keep your doll warm and cozy! 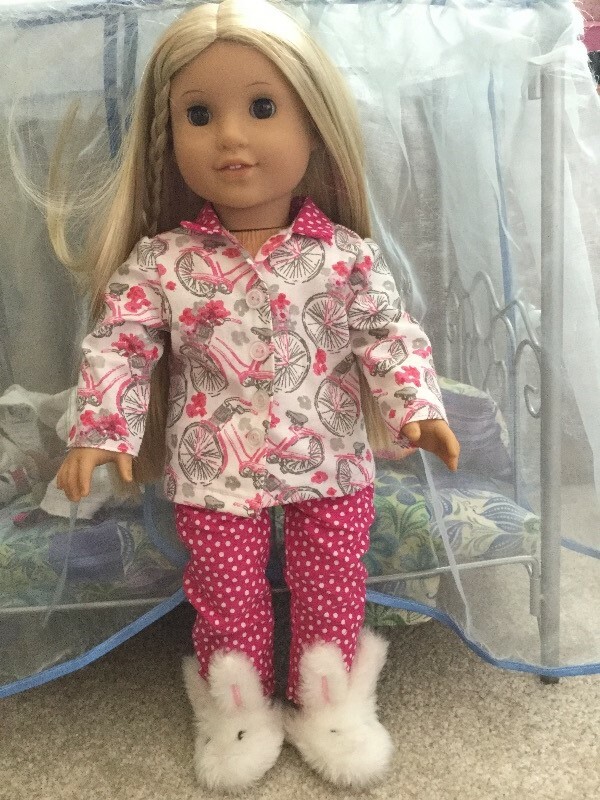 Use flannel or other woven fabric to make your pjs. Included in this PDF pattern is a short sleeve with shorts option as well. This is a wonderful pattern for boy dolls too! Excellent pattern. Good instructions. 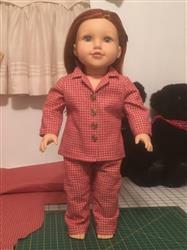 I have a Newberry doll and I had to add extra at the waist as they were too short in the crotch. But every doll is different, but never thought to check that measurement I’ve made four pair so far all turned out cute. Easy to follow, well made construction. I enjoyed using this pattern. It was easy to follow and the finished product was perfect. Heartwarming Pajamas Pattern makes me warm inside! I love the pattern. 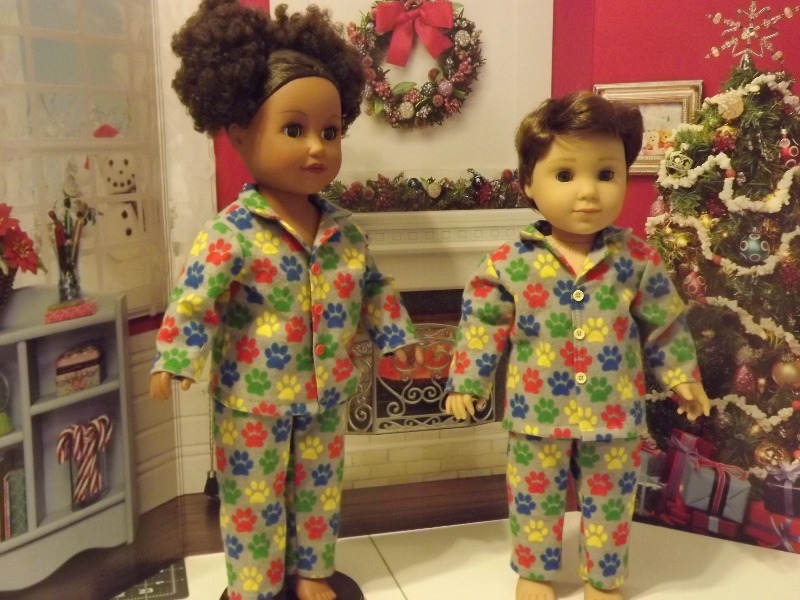 I have made 2 sets of pajamas for my grandson for his 2 boy dolls. It was easy to work with and understand.